is an old sea port of spice and a town located in the Malabar Coast in Gods own Country of Kerala. It is famed for its connection with Ashtamudi Lake which makes it as the doorway to the glorious backwaters of Kerala. Modern day Kollam is a trade nerve and is enriched with sea, charming lakes, cragged mountains, dense forests, enchanting backwaters and emerald plains. Numerous travelers visit this place to relish its captivating beauty; some of the places of interest are described below. Ashtamudi Lake is one of the biggest and the deepest wetlands eco systems in the entire Kerala and is popularly reffered as the gateway to the breathtaking backwaters of Kerala. It is one of the major sources of waters for the backwaters of Kerala. It is an enormous rock in Chadayamangalam village which is supposed to be the rock where the giant bird Jatayu fell after enforcing to stop Ravana from taking Sita away. It is a perfect place for adventurous activities like trekking and rock climbing. Being the principal traffic park of Kerala, it houses children’s traffic and amusement and is placed on the village along the shores of Ashtamudi Backwaters. One can relish boating and cruising in the varied boats which are provided including power boats, luxury boats and motor boats. Erected in 1877 by Albert Henry, it is a renowned 400 feet long suspension bridge and is the only suspended deck type of bridge in India. It stands as a great example of architectural masterpiece which is suspended using 3 spans. 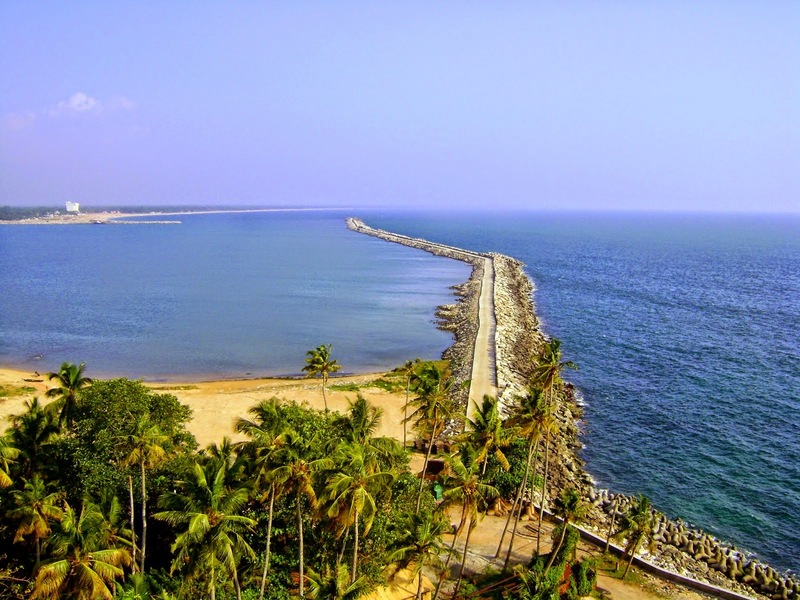 Located 5km away from Kollam, it is a wonderful spot for swimming and sun bathing stretch all over with golden sands. It serves as an idyllic spot who wants to spend isolated time in the clean and quite environment of this beach. One can have a mesmerizing view of sun dawn in this place. Lord Subramaniam Temple at Umayanallor supposed to be sacred by Shri Sankaracharya of Kalady is one of the key magnetisms of this place. It is positioned at a distance of 10 km from the main town of Quilon. Located 5 km from the busy Quilon town, it is one of the places of great historical significance. The major attraction of this particular place is the 144 feet lighthouse which was constructed in 1902 and several beautiful churches constructed in the 18th century. It is a renowned pilgrimage center housing the old Pattazhi Temple devoted to Goddess Bhagavathy. Mudi Festival is celebrated with great pomp and show in this particular temple which is situated in Pathanapuram Taluk of Kollam district. Established on 25th of August in 1984, it is one of the best places to visit in Kollam positioned 63 km from Pathanapuram Taluk. With a protection area of 100.32 square km it protects wide array of faunas including; lion tailed elephant, bonnet macaque, barking deer, gaur, tiger, spotted deer, leopards, wild boar, nilgiri langur and many more. Apart from these interesting places, there are many places which will grab your breath for a moment with its exhilarating beauty which include Palaruvi Water Fall, Thenmala, Neendakara, Ochira and lots more.